Glastonbury is famous for its huge range of New Age and alternative interest shops specialising in spirituality, paganism, books, crystals, artwork and a cornucopia of other treasures . There is also a wide selection of vegetarian cafes and restaurants. We would be grateful if you let our advertisers know that you have found them through The Oracle website. on Magdalene Street, overlooking the grounds of Glastonbury Abbey. 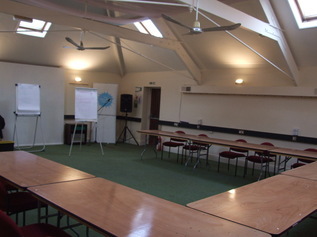 It has five different meeting rooms suitable for groups from 8 to 18 seated. There are also smaller therapy rooms available for hire. 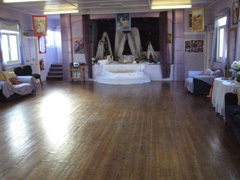 Venue for retreats in Butleigh, 4 miles Glastonbury. Accommodates nine. 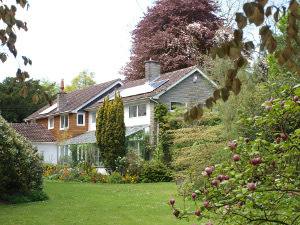 2.3 acre lovely garden, mature trees. Peaceful, quiet. Findhorn Game of Transformation workshops monthly; also relaxing 'b and b' for de-stressing and energising. Good for cookery classes, yoga, meditation, mindfulness retreats, talks, creative writing, gatherings around welcoming log fire.